Roof Tops is perfectly located for easy access to all of London’s attractions as Northfields tube station is under five minutes walk away. Ealing Broadway with its many shops and restaurants is just a short walk through the park. 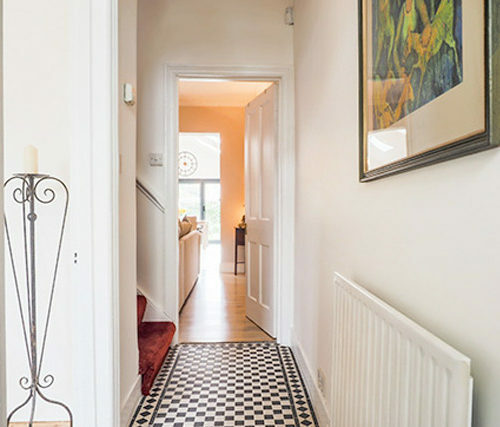 There is an excellent range of shopping in the local area and a variety of restaurants, wine bars, cafes and pubs can be found within easy walking distance. Ealing plays host to a popular summer jazz and blues festival in nearby Lammas Park and enjoys many different European food festivals held on Ealing Green. 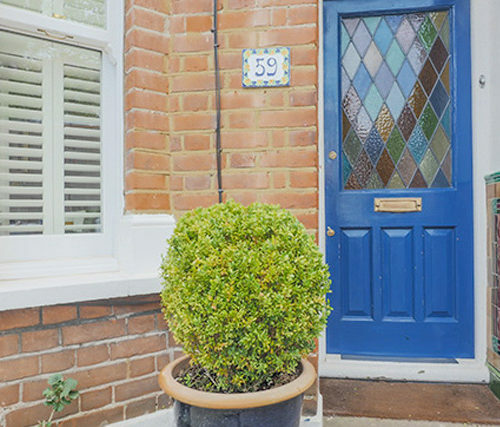 Ealing, referred to as “The Queen of the Suburbs” is widely known because of Ealing Studios which is famous for films produced there in the 1940’s and 50’s. Also well known is the popular Questors Theatre and of course Kew Gardens, Richmond Park and the River Thames are only a short drive or bus journey away and well worth visiting. 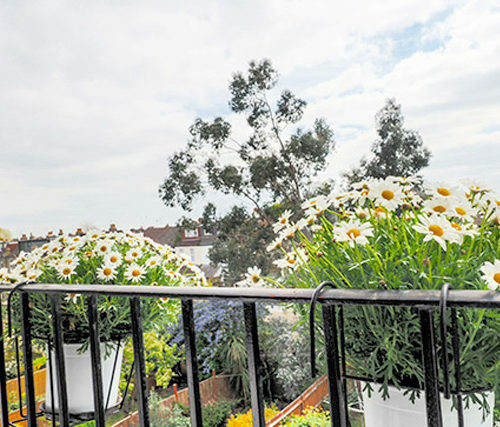 Roof Tops is a beautifully refurbished room with en-suite situated on the second floor of an Edwardian end of terrace townhouse in a quiet tree-lined street off Northfields Avenue, West Ealing. 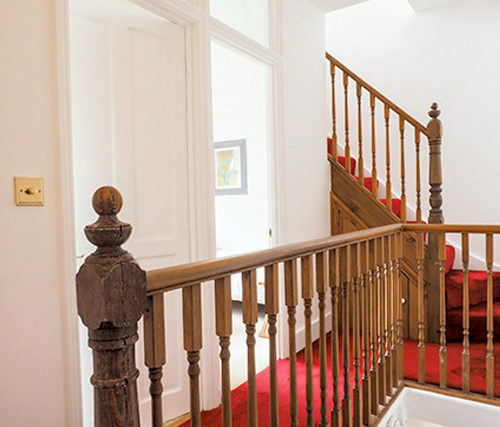 The entire property has just been refurbished and upgraded to a very high standard whilst maintaining many original features including stripped wooden flooring and a working fireplace in the Breakfast Room. 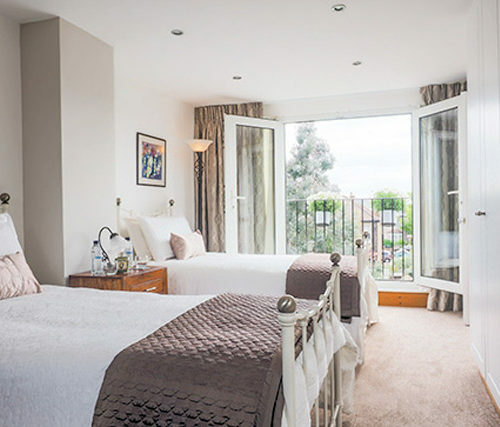 Masses of natural light courtesy of the French doors and skylight windows flood the spacious bedroom which is decorated in pastel shades of light browns and beige colours with matching soft furnishings. 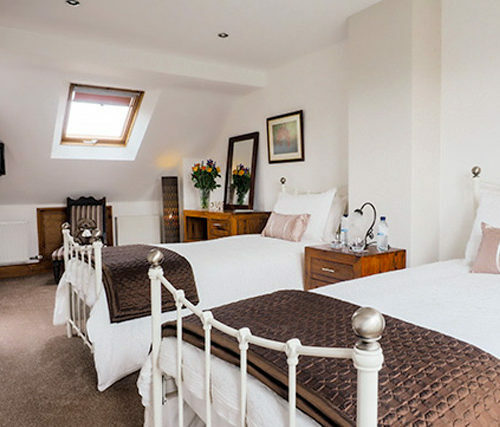 Two comfortable regular single beds, plenty of wardrobe space with a full length mirror, a bedside table and matching dressing table with mirror, together with a wall mounted TV, well placed floor and table lamps, hairdryer and wifi hopefully provide our guests with everything they need at their temporary ‘home’. The en-suite, which is decorated in earthy browns and creams with tiled flooring and partially tiled walls offers a shower enclosure with good water pressure, a table mounted contemporary round sink, WC and a heated towel rail. 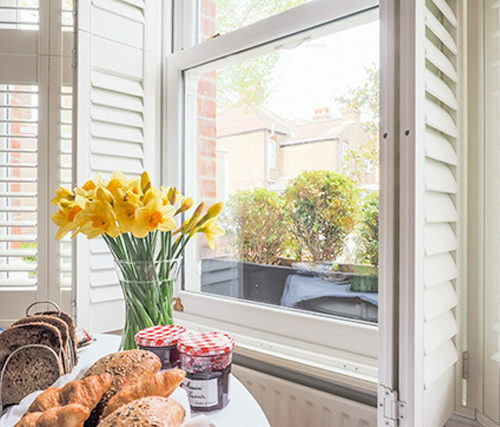 A full Continental Breakfast is served, at a time that suits our guests, in the downstairs Breakfast Room overlooking the front garden. 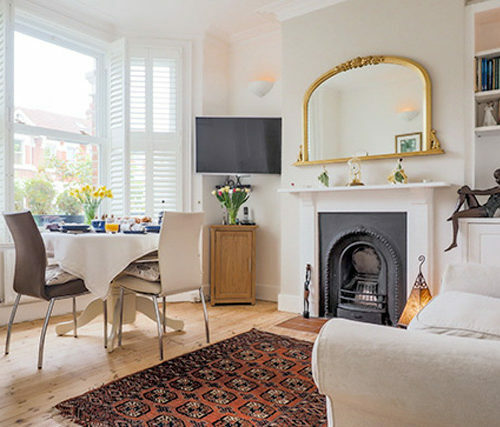 White louvre shutters provide privacy in this cosy yet bright room with a high ceiling and working original fireplace plus a 40″ wall mounted TV with SKY including all the sports channels. 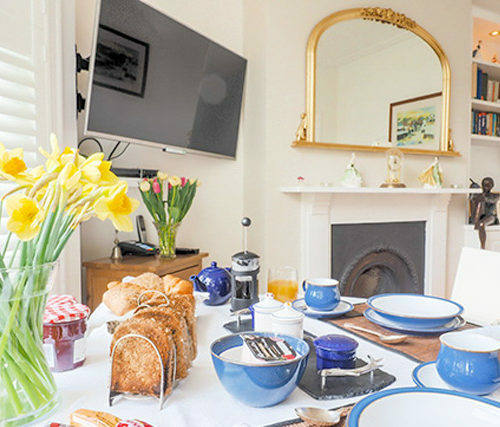 Breakfast includes cereals, selection of breads and toasts, yoghurts, cheeses, fruit juices and a selection of teas and freshly percolated coffee. All guests are met personally on arrival by the hosts who live at the property and are available to offer any assistance with suggestions for restaurants, bars, theatres or indeed help with any of the many London attractions. Prices include Continental Breakfast, wifi and SKY TV in the Breakfast Room. Roof Tops is a non-smoking property.